That’s how fate is…licky you see. 😉 Probably, where luck doesn’t, there lick works 😉 Well on a keyboard, u and i are adjacent–so are g and f. Those clumsy fungers may next time type Good *uck…and if considered seriously by our friend X, I am not sure if he/she would be promoted or fired. Y: OMG u r a licky gurl!!! X: wow…no comments…we aren’t lucky to get such leaves!!! Ok now that send across wrong signals…thank or think…if not thank then why & what are you thinking? There isn’t an end to these errors. Among friends it is acceptable. But with colleagues or may be family, I am not sure what the reaction would be. And there is use of emojis which also can be construed as extremely confusing. You can share some of your LOL typo moments. If brain works like bowels, then it would collect thoughts, some of which (may be the good ones) would get assimilated and got lost somewhere in the body, and the wasteful thoughts would accumulate and accumulate to a level when it would be practically impossible to hold and then there would be peristalsis leading to movements beyond control (like those of the bowels) causing it to flush the contents (thoughts here) out of the system through an opening, i.e., mouth—and the discharge is the verbal excreta. No, No, it’s not you. But yes, this happens in people who suffer from Irritable Verbal Syndrome (IVS)—where one suffers from verbal constipation (with occasional flatulence) alternating with verbal diarrhoea (symptoms are similar as in IBS – Irritable Bowel Syndrome). These people are not uncommon to find, or rather very common I must say. They can be colleagues, batchmates, neighbours, family members, friends or frenemies. They are either well informed or over confident or dumb but pretending to be wise. They are constantly in need for attention and are the ‘Me’ types….feel free to add to the list! It is hard to believe if you haven’t come across one, and if not, then for sure you will meet one soon. I would stick to Wash Wipe Sanitize, in other words, confront…tell the person about IVS and give him/her a chance to get treated. The treatment is just a probability; the person may not change, but everyone deserves a chance no matter how offensive the condition is. Show Up, Keep Up, Shut Up! Recently I watched ‘Oz The Great and Powerful.’ Nice movie. Good acting. Great storyline. 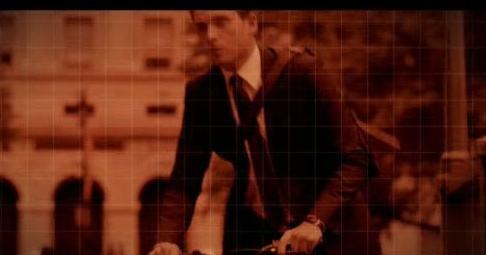 Beautiful visual effects and some cool animation. 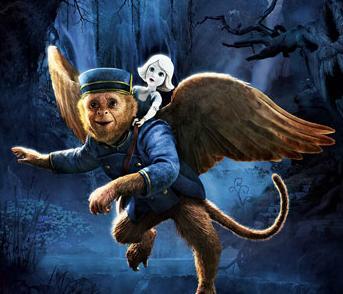 Of all the characters, my favourites were Finley, the Flying Monkey and the cute little China Girl. Now why of all the amazing actors playing the magician (Oz) and the witches (Theodora, Evanora, Glinda) would someone like a Flying Monkey and the China Girl. Well, in life, most of us at our work place are either Finley – acting monkey with or without the love for bananas but carrying a huge workload, or the like the beautiful and fragile China Girl being surrounded by Carnival Magicians (not wizards) and Witches (Bad ones, not the kind and sweet Glinda types). There is a scene in the movie where Oz (the magician and the so called Wizard) says: “Show Up, Keep Up, Shut Up!” – An advice to his new found assistant Finley in the magical Land of Oz. Now, this is exactly what every boZZ does. It is not even said aloud; it is very obvious and is to be understood. As long as possible I do act like Finley. Show Up – Oh yes, you have to. You do not have much of a choice in times of rising inflation. Keep Up – In the hope of performance appraisal (Banana :D) you do your best. Shut Up! – On many occasions. Your innovation, but presented by your boZZs as their creation at the carnival. What do you do? Shut up. In the end of the year, you finally get the banana, but size does matter, doesn’t it? You land up with a pocketful of change instead of a wallet full of cash. Again, what do you do? Shut up. But how long can one shut up? So these days, I ‘Show Up’, ‘Keep Up,’ ‘Shut Up’ (it is fun sometimes to be quiet and let other people do the talking), and at times,‘Throw Up’ (Ok, that is my idea of catharsis. Clever words at right time can be more powerful than any magical broom or emerald pendant :D). On several occasions, I tried to be the China Girl as well; but unfortunately, in reality it is not easy to find good people let alone great people. You find yourself in midst of wicked people and in their company you will be broken with no one to fix you unlike the Oz. In the movie, Oz was still good at heart and so he was successful in driving the wicked witches out of the otherwise peaceful land. But in real life there isn’t anything like a peaceful happy place, and real time BOZZ is no where close to the great and powerful Oz. Today is the Internet Era where having a facebook profile is a must (If you don’t have one then you get an OMG reaction) and checking facebook profile at least twice a day is mandatory. There are many other social networking sites; however, facebook still remains one of the most popular amongst all. There was a time when people kept dairies penning their everyday thoughts. However, this act is now replaced with status updates – some short, some long; sometimes once a day, sometimes several times in a day. With fancy mobile phones, accessing social networking sites has become very easy. I never had a diary, but yes, I do have a facebook account. 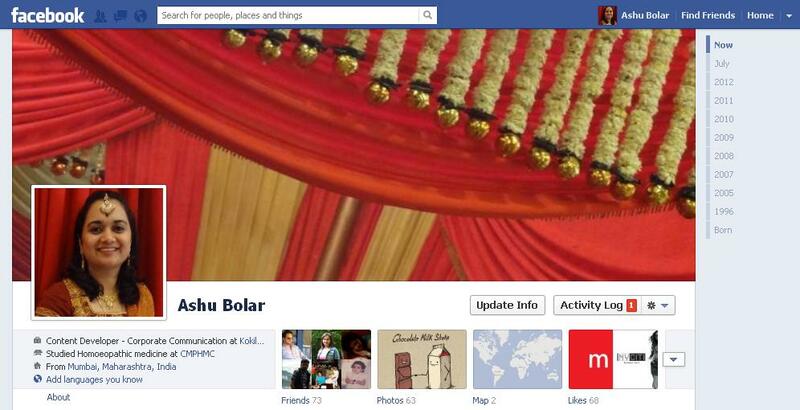 I am not keen on posting updates but when it comes to decorating profile, I must say I am good at it. Even I check my account at least twice a day. Every time I log in, the images and posts on my home page fill me with mixed emotions. A Friend’s Wedding Album – likes, congratulations! Stupid Comment – wonder why this person is on my list??? Sale – smile does not leave my face till I shop shop shop and literally run out of cash! And emotions keep swinging from like to dislike, happy to sad, irritation to anger, and of course, the vice versa. For some, or rather many, this book is friendly, fabulous, fashionable, fanciful, flirty, funny, free spirited, full of life— in short, Fantabulous Book! But for few it is fake, foul, flimsy, forbidden, futile, false, frustrating, freaky—means WTF book? As for me, most of the times, reading this book makes me happy for the fact that I have so many friends, and that they are happy in their lives. We may not be conversing or chatting everyday, we might have not met for years now, but we are still connected, no matter which corner of the globe we reside. And on friendship day with so many beautiful messages, again my emotions are swinging—a smile, a tear—and I am glad that there are friends who care. Wishing all my friends a Happy Friendship’s Day and hoping to find more friends in the future on my Fav Book, my Facebook!